Manila hasn't changed much since the day I left. Last night when I arrived, the airport terminal is exactly the same. The immigration queues are too long, but nobody is complaining. The people at the counters chat among themselves as they check your documents as if you don't exist. One improvement I've noticed is that there are no more lines at the customs area. I went straight through customs, and the lady at the checkout didn't even give me a sideways glance. Before, they would stop you and ask you to open your bags for inspection. Before they let you go, they'll hem and haw, and give you the nod-nod-wink-wink. If you still don't get it, then you're in trouble. There are fewer "standbys" at the arrival area. A few years ago, you'd have strangers come up to you offering to carry your bags or get you a taxi. I tell you, they're scary. I flew in on a Sunday night, and even then traffic is heavy along Roxas Blvd. The front passengers have to put on seatbelts, but there is no such requirement for the backseat passengers. Remember to always lock your car doors because you wouldn't want to be robbed inside your car while caught in traffic. Most of the streets don't come with lane markings. There's a good reason for this. Take any two-lane street in Sydney, bring it to Manila, take away the lane markings, and it becomes a three-lane avenue. Once the traffic starts moving, people just switch from lane to lane, trying to get ahead, *without* using any turn signals. Everybody honk their horns every few minutes. No offense meant. How I used to do that I can only reminisce. This morning we had breakfast at Jollibee at Holiday Plaza. (How appropriate.) For those who has never heard of Jollibee, it's McDonald's biggest competitor. 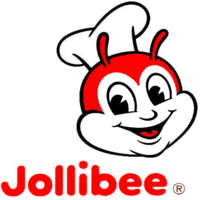 Jollibee started out as a small operation in Cubao. Then it got smart. It copied everything on McDonald's menu and made them better, more suited to the local taste, meaning sweeter. 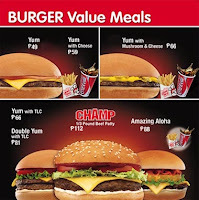 Nowadays, you can come to Jollibee every day of the week, and still have something new on your plate: Yumburger, ChickenJoy, Champ, Jolly Spaghetti, The Champ, Jolly Hotdog, Palabok Fiesta, Burger Steak, Amazing Aloha, local dishes like tocino, longganisa, aroz caldo, beef tapa, corned beef, plus the staples like sundaes, fries, pies, pancakes, etc. Spent most of the day visiting our old neighbors. The surrounding area has changed a bit, but our neighbors are exactly the same as I last saw them three years ago. It's uncanny. Like before, people are very much obsessed with their mobile phones. Rich or poor, everyone has one. When you meet the friendly neighborhood thief, he doesn't inquire about your wallet anymore; he wants your phone. You may have only 20 pesos in your wallet, but at the very minimum, your mobile is worth thousands on the market. One columnist theorizes that even the poorest of the poor in Manila has a mobile phone because it gives them an identity. They might not have a house with a street address, but with a mobile (with SIM card), they get an MSISDN (mobile number) that they can call their own. And that gives them a (wireless) connection to their friends and the society at large. I see people fussing with their phones every chance they get - sending "texts" (as they are called here), reading messages, changing wallpapers, downloading ringtones (the meowing cat is most popular at the moment). And since phone-snatching is so rampant, the ladies do SMS inside their bags. (That's what backlights are for.) The guys put their phones in small pouches and stuff them in their pockets. There's a new coin in circulation. The P2 coin is out and the P10 coin is in. 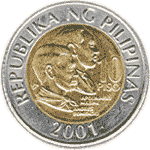 Given that the basic jeepney ride now costs P7, your stack of coins won't last long. Man, I can still remember when you can ride a jeepney for only 75 cents. We also have a new P200 bill, positioned nicely between P100 and P500. Not one to waste time, I got down to business and visited my dentist in the afternoon. An hour and two tooth fillings later, I was short of P2000. That's peanuts in Sydney, but here in Manila, it's big money. Badminton is still going on strong among the populace. It started to pick up when I left, and now it looks like everyone's into it. Just outside our place is a warehouse, now converted into a 6-court badminton place called Toss and Play. With no cable TV, no free-to-air reception, no Internet access, and no WiFi, I spent the night watching people play. I knew I should've bought my badminton racquet instead of the tennis one. The best way to pass time on a plane is still to watch lots and lots of movies. Just watch three movies straight, or intersperse them with a few CDs in between, and you'll get to your destination by the time you're done. You don't even have to make small talk with your seatmate. Who knows, you might be sitting next to Tyler Durden. First movie I watched is Daniel Craig's first outing as Agent 007 in Casino Royale. I must say I liked this one. Not because I think Daniel Craig is the most wonderful British actor there is. Or maybe I'm just bored with the dashing Pierce Brosnan already. did is so ruthless. It's just not right to take advantage of a man when he's at his most vulnerable. I mean, 007 just got his license to kill, yet he's willing to leave everything on the table, and start a new life with Ms. Mr. Craig brings a breath of fresh air and drive to the role. The opening scene is not as extravagant and techie as the earlier ones, but wow, you should see the action. Just like Jackie Chan when he was just starting in the business. I'm not going to bore you with all the plot details, as I'm sure everyone has seen the movie already. I just want to say that what Ms. LyndLynd. Yet she betrayed him. In usual Bond fashion, 007 was able to catch the bad guy. Unfortunately, he wasn't able to save the damsel in distress. He became a colder man that day Ms. Lynd drowned in the depths of Venice. Ms. Lynd: You know, James. I just want you to know that if all that was left of you was your smile and your little finger, you'd still be more of a man than anyone I've ever met. Mr. Bond: That's because you know what I can do with my little finger. Ms. Lynd: You're not going to let me in there, are you? You've got your amor back on. That's that. Mr. Bond: I have no armor left. You've stripped it from me. Whatever is left of me, whatever is left of me, whatever I am, I'm yours. To help clear the somber mood, I watched a comedy from Stephen Chow next. The movie is called Love on Delivery and also stars the luscious Christy Chung and his long-time sidekick Ng Man Tat. Stephen Chow also directs. Having watched Shaolin Soccer and Kung Fu Hustle, I'm deeply disappointed with this one. The movie feels like it's shot over a weekend, and Stephen Chow is probably having a hangover when he directed. The jokes are tired and banal and the plot virtually non-existent. Delivery boy Chow meets pretty student Chung. (She's even prettier with less clothes on.) After being humiliated by Chung's judo-teacher suitor, Chow gets some kung-fu lessons from an dodge convenience store owner, and get duped out of his savings in the process. Incredibly, Chow actually learned something and managed to defeat the judo teacher AND his teacher's nemesis in a tournament. As I didn't get my comedy fix, I chose a Japanese movie next. Japanese are usually over-the-top and unpredictable, and that makes funny. Movie is called Kintaro, the White-Collar Worker (Sarariiman Kintarô). I'm sure the title sounds better in Nihongo. Anyway, movie started out all right. Story is about a young idealistic employee working in the construction business. Unfortunately, public works is a dirty business, full of insider dealing and rigged biddings. He didn't like the look of things, so he decided to fight the system. The whole company backed his cause in an effort to remain afloat. Things went downhill from there. His boss got bombed, his family got hurt, and he got mad. Mad enough to call on his former biker friends and start a gang war. Faced with a police barricade, he tried to go it alone and was jailed for 6 months. (What?! Not life?) Anyway, the day he came out of prison, there's a big crowd to welcome him and what he represents. Cheesy, I know, but you have to remember this is based on a cartoon series. As he walked to his waiting wife and son, the crowd parted like the Red Sea. The end. What have I done to deserve movies like these? 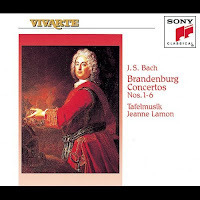 I switched to audio mode and listened to Bach's Brandenburg Concertos (by Tafelmusik and Jeanne Lamon). Now, you can't go wrong with that! Yup, apparently, that's what happened. I didn't get to see the continuation, and my sister, who was at home, wasn't interested in the outcome. As far as I can pick up from the forums, there was a tie. That means Chen Kenichi and Michiba have to cook for an extra half hour. Michiba is definitely not pleased. Not sure why - maybe it's because he has already written out the intended menu in beautiful calligraphy, as is his custom, and he doesn't like editing it. The forums didn't say, but my guess is that Michiba won in the final battle. Makes for a nice birthday/retirement present, don't you think? We had an awesome lightning storm last night (more than 60 strikes per minute), and the rains continued till this morning. The AM stations ran out of news to report, so I switched to my favourite classical station. The crawling morning traffic, the pitter-patter of rain on the car roof and windshield, classical music on the radio; suddenly I'm transported back to Manila. I'm driving along Ayala Avenue. It's the morning rush hour, and traffic is bumper-to-bumper. I'm listening to 98.7 dzFE FM - The Master's Touch, and any moment now, Tiffany will be on with her soothing voice and perfect diction, dispensing nuggets of knowledge and trivia about the pieces she's about to play. Ah, those were the days. I've since lost touch with the guys at dzFE, and last I heard, they're not doing too well. Since they're a non-profit station, funds are hard to come by and they had to cut down drastically on broadcast hours to reduce operating expenses. Their lease is almost up, so the office and the transmitter atop a building in Makati have to move very soon. I'm not even sure if they're currently in operation or not. Surprising that a geek who does minimal cooking enjoys watching Iron Chef every Saturday night on SBS. Then again, Iron Chef is not just cooking. The reality-TV ambiance, the over-the-top host, the hilarious commentators - Allez cuisine! Tonight episode is quite special. 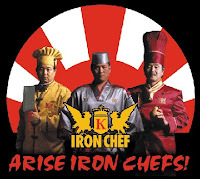 It's the 1995 Mr. Iron Chef Final between Iron Chef Japanese Rokusaburo Michiba and Iron Chef Chinese Chen Kenichi. The event is made all the more special because it's Michiba's birthday AND it's the last time he's competing in the Kitchen Stadium. At 65, he reckons it's time to retire. On a side note, Chen Kenichi's also celebrating his 40th birthday a few days later. For today's battle, Chairman of the Gourmet Academy Takeshi Kaga picked beef to be the secret ingredient. A small smile plays on Michiba's lips as beef is one of his more familiar ingredient. Chen Kenichi would probably prefer pork, but I'm sure he'll manage. Both chefs are gunning for four dishes each. The preparation and cooking are fast and furious. At 15 minutes to go, the end credits started rolling. What's going on?! No explanation, no nothing. Just like that. Hmm, will just have to wait for next week's fix. I have watched quite a number of animated films, and I have to say Aardman's creations are one of the best out there, in terms of plot. Wallace & Grommit, Chicken Run, and now Flushed Away - I love them all. The movie tells the story of this uptown rat by the name of Roddy (Hugh Jackman) who was flushed down the toilet by no-good sewer rat Sid. In rat town down the sewers, he meets red-head Rita (Kate Winslet) and convinces her to bring him up top to Kensington. For her troubles, he'll give her a real ruby (from his master's jewelry box) to replace the one he broke. While on their way on the Jammy Dodger, they were chased by The Toad's (Ian McKellen) rat henchmen Whitey (Bill Nighy) and Spike (Andy Serkis), assisted by Le Frog (Jean Reno) and his French ninja frogs. Rita and Roddy eventually reaches his Kensington home. As agreed, he gave her a ruby, plus an emerald for a Jammy Dodger II. Back at the sewer, The Toad and Le Frog finally captures Rita and retrieves the master cable of the floodgate control system, which Rita has been using as her belt. While watching the World Cup finals with Sid (England vs. Germany), Roddy realizes The Toad's diabolical plan - to open the floodgates at half-time when everyone is using the loo and flush away all the rats in the sewers, then repopulate the underground city with his tadpoles he's keeping in the ref. Naturally, our intrepid and dashing Roddy goes down the toilet again, reunites with Rita, foils The Toad's plan, and saves the day (and the rats). The slugs were so happy they were singing praises. As for Sid, he decides to stay up top permanently. Last scene shows the owners coming back from vacation, and Roddy's owner Tabitha brought along a new pet - a cat. For some weird reason, I find Rita strangely attractive. (Is it the low-slung jeans?) She has the face of a rat, but what a personality! Decisive, aggressive, sensitive, vulnerable, smart - she's my kind of rat. Ginger in Chicken Run isn't too bad, either. My Swatch Jelly isn't even a year old, yet it's plastic strap fastener broke already. I've just about had enough of Swatch and its flimsy plastic parts! First Swatch I bought, it had to be returned to the store three times for replacement because the plastic tabs holding the battery case kept breaking off each time. Next Swatch I bought is an Irony, so that is still holding up well. The next Autoquarz Labirinto is fully-encased in plastic, so there's nothing to break. Now, this Jelly is one thick chuck of a watch. Who would've thought that it's the plastic clasp that will give way?! I hope the local Swatch shop will fix it, or else I'll be forced to fly to the Duty-Free shop in Changi Airport. Had my first taste of Moonlight Cinema, although given a choice, I still would've preferred Movies in the Overflow. For one, the Overflow has bigger space to accommodate more people. It also has less trees obstructing your view. Transport-wise, I would say Olympic Park is still more accessible. The plot is not that important here because the whole anti-Jew movie is just a string of hilarious outrageous skits in the tradition of Jackass. It's like these scriptwriters sat down, contributed one segment each, and another guy strung them all up, and so Borat the movie is born. The skits? Borat gets a lesson in American humour a.k.a. How to make "Not!" jokes - Not! Borat mingles with the boyz in da hood a.k.a. What's up wit it, nigg@? Borat attends a Pentecostal prayer meeting a.k.a. Jesus loves all, amen! To its credit though, Borat made me laugh out loud, which you probably couldn't do in a proper cinema. There's way too many funny quotes to list here, and even then I'm not gonna list them as most of them are not appropriate for kids' ears.